When Denise Landon, a deaf studies major and a veteran who served in the Navy for seven years, walked into the Veterans Resource Center during her first semester in the spring of 2017, she was petrified for what she was about to admit. As Landon approached the front resource desk she thought about her then-93-year-old grandmother, whom she was caring for at the time, and her 20-year-old daughter Zoë. For the past week, she had been staying at a nearby hotel room with her 11-year-old daughter, Amara Landon and service dog Turbo. “My daughter and I are homeless,” Landon told them. At this time she was dealing with the death of Zoë’s father, Eugene Sampson, Sr., who had committed suicide. The news broke on Facebook that her former husband’s dead body had been found in his car in Perth, Australia while serving there a few months prior on Jan. 26, 2017. Sampson served 15 years in the United States Marine Corps in addition to 10 years with the Australian Army. As well as Zoë, he left his oldest son from his first wife in San Diego and his two younger boys by his widower, Kelly Sampson, in Australia. 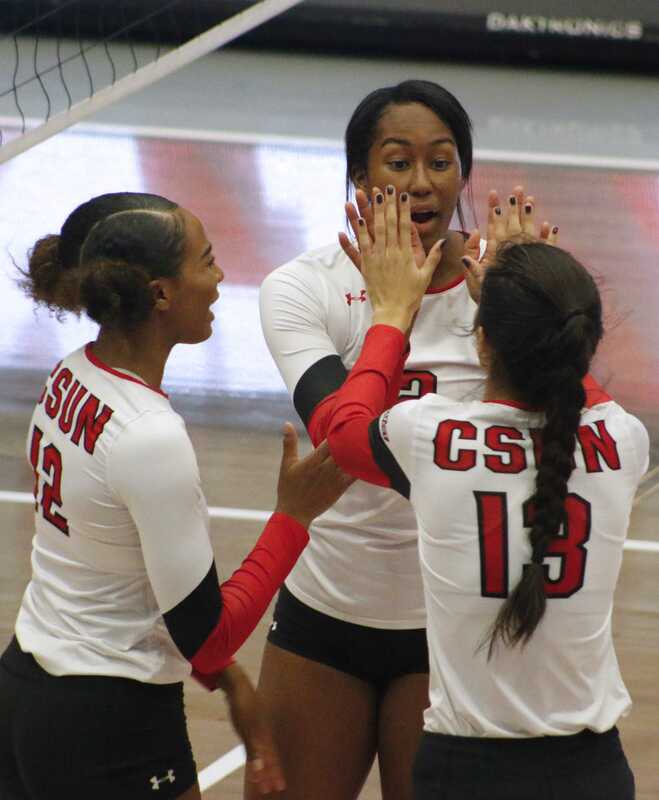 Landon spent the first three weeks as a CSUN student taking the train from her residence near Chapman University in Orange County. When she got home each day, she had little to no time to be a mother or take care of her grandmother. As a college student with a family living two hours away from CSUN, she wanted to live closer to campus, and her landlords had been telling her to leave since October. Having no choice but to pack up her family’s belongings, Landon left her home of three bedrooms, two bathrooms, a large backyard and a two-car garage, for that cramped hotel room near campus that she stayed at for one week. As a homeless veteran with a child, she sought out the Veterans Resource Center to help ease her burden. She told them she was going to school, all the while concealing as best as she could the fact that she and her daughter Amara were actually homeless. Claire Davis, who works at the Student Housing Office, and Patrina Croisdale, the lead social worker at that time who is now with the Soldiers Project, helped Landon secure a permanent place of residence. There was no protocol for veterans, but within weeks, they worked with her on a deposit so that they could get Landon and her daughter Amara in an apartment in The Village, the student housing designated for students raising families, without much delay. Despite the circumstances her daughter Amara adapted well to the community, finding many of the kids there she could relate to, and other students reached out and welcomed them in with open arms. Landon serves as an active member of the co-ed fraternity Sigma Tau Alpha as Recruitment and Membership Officer, Delegate Speaker and PNM Educator. 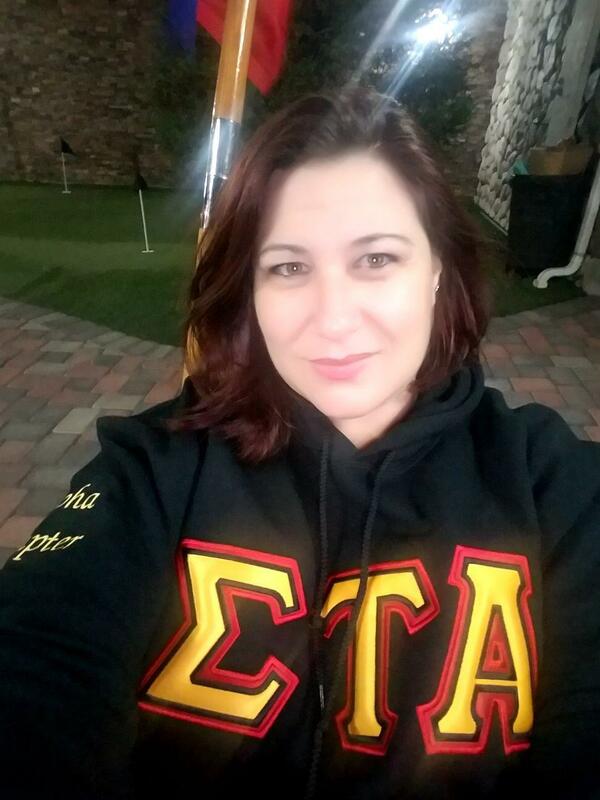 She believes firmly in the fraternity’s mission. She is also a volunteer coordinator for their third annual 5K fun run on campus to raise awareness and supports a nonprofit organization, The Soldiers Project — which provides free confidential psychological counseling for not only active duty and post-9/11 veterans but their spouses and dependents as well — on Sunday, Nov. 4 at 7:30 a.m. They are asking fellow veterans, students and the CSUN community to join them in their mission to fund. The fraternity expressed a goal of raising $5,000 this year. Although in past runs, they have come significantly short of meeting this goal. In fact, earlier this year, the fraternity donated approximately $1,300 to the program from around 110 participants in addition to raising $1,200, from 92 participants, the year prior. Yves Cachuela, President of Sigma Tau Alpha, majoring in kinesiology, saw the benefits of this fundraiser directly as a former soldier himself. Those interested in participating can register online for $20, at https://classy.org/event/3rd-annual-sigma-tau-alpha-5k-fun-run/e201414. Editor’s note 11/02/18: Patrina Croisdale’s name was corrected.